The Bill 104, aiming to increase the number of zero-emission vehicles in Québec in order to reduce greenhouse gas and other pollutant emissions, has been adopted in principle on September 22, 2016. David Heurtel, Minister of the Environment, recalls that the aim of his government is to stimulate the supply of zero-emission vehicles “to allow Quebec consumers to access a wider range of plug-in vehicles”. Quebec wants 100,000 EVs on its road by 2020. 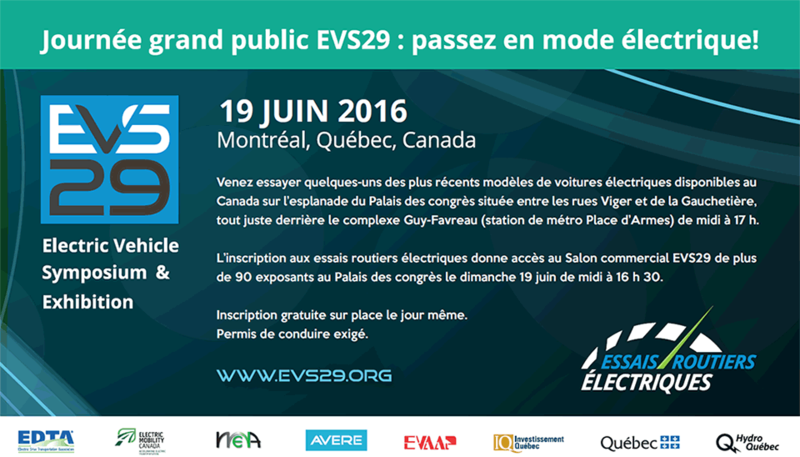 As of August 31, there were 11 619 EVs in Quebec. The bill only targets the automakers selling or leasing more than 4,500 new vehicles per year on average across all models. Those who sell less can participate voluntarily. “From 2018, a car manufacturer would have to respect a sales target of ZEVs set by the Government and implemented in the form of credits,” he said. Electric Mobility Canada participated to the Parliamentary Commission on Transportation and the Environment and presented a memoir on August 17, 2016.